Sean “Spicy Facts” Spicer has done it now. 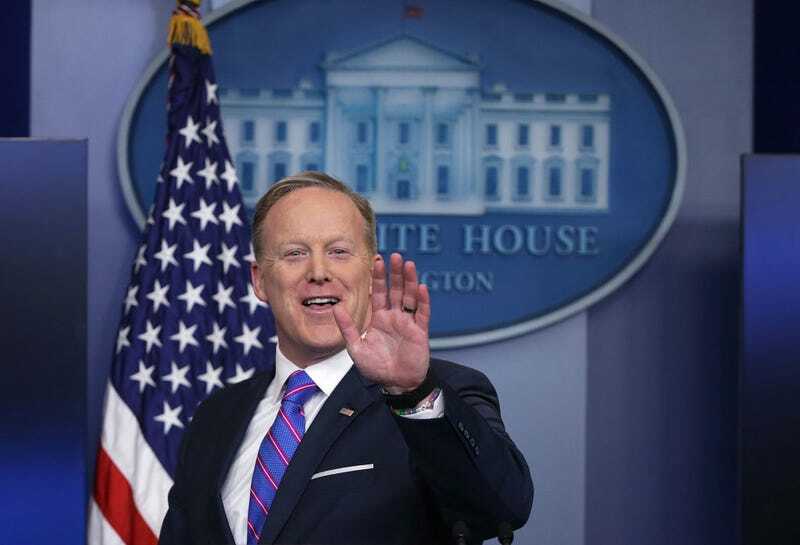 During a White House press briefing in which the press secretary was trying to characterize Syrian President Bashar Assad and his connection with President TrumPutin’s play cousin Mother Russia, Spicy Facts decided to invoke Adolf Hitler’s name. Even Hitler “didn’t sink to using chemical weapons” during World War II, Spicy Facts said, CNN reports. Umm, Spicy, this is starting to sound like an alternative fact. Hitler may not have used sarin gas on his people—not sure what that made the Jews—but using Hitler’s “restraint” as a basis for anything just sounds really off and weird, which is how I feel about the entire administration. Let’s be clear: Saying that even Hitler didn’t like loofah scrubs doesn’t make Hitler a decent person because, oh, I don’t know, he killed some 11 million people and was single-handedly responsible for the deaths of 6 million Jews. And, uh, Spicy Facts is starting to sound more and more incompetent, and he’s starting to sound like a Holocaust denier and a deplorable. Umm, Spicy, what did the Jews do to make them “guilty,” since they weren’t “innocent”? But Spicy Facts was right about one thing: Hitler didn’t go into towns; great point. Hitler did not go into towns and kill people. Nope, he just rounded them up and killed people in concentration camps, but Spicy Facts is right—he did not go into towns with chemical gas, so thanks for clearing that up. Also, resign and go back to your old job as a bunny.